This book is an account of the very early computer days and the people who went way beyond the edges of the law to explore (and take advantage of) this brand-new frontier. 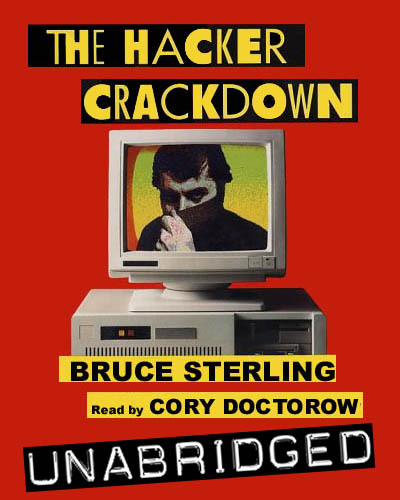 Author Bruce Sterling has given us a masterful piece of work with this book, making the internet’s history come alive in such a way that you can almost hear the humming of the modems and servers. Readers can feel the tension surrounding them as a latter day Old West struggle occurs between the ‘white hats’ and ‘black hats’ in the early days of the Internet. Of the cyberpunks, we can certainly say this: without their fervent desire to push the envelope and toss out the rules, we would most certainly not have made all the breakthroughs that make modern life on the Web so convenient and secure. Although it shows its years, this book is still an interesting read today for those who are interested in the early days of the Cyberpunk movement. Anyone who is excited by the reports in the news of hackers and cyber security threats, or who has memories of the early days of the movement but wants to know more, should definitely pick up a copy of this book and give it a read. Sterling attempts to encapsulate the Hacker underground for the reader. While some of the terminology may be confusing for a non-technical person to grasp, it’s fairly easy to pick up and anyone with a basic understanding of Internet terminology will understand this perfectly. The Hacker Crackdown is an excellent historic record of the origins of hackers, phreakers, and their nearly instantaneous bond with the telecommunications systems. This book offers a detailed portrayal of how both groups grew and evolved together and exactly how various police forces tried to keep them down. This same information could be found in different sources, but Sterling’s account does a good job of keeping the events chronological and concentrating on the phone side, not merely the cyberpunk side. This book is an excellent history of the start of web law and its effects on the populace some two decades ago. Sterling paints a picture of the dramatic tale of the FBI and AT&T’s attempt to transform hacking into a much larger criminal activity than it really was. The book is well-researched and offers its story in a style that requires no advance knowledge from the reader. This book encourages the reader to delve into the elements of liberty that we are slowly losing today. The style of this book was easy to understand and much that happened then, while dated and decades past, is relevant to what is happening today. In the news we see time and time again stories of hackers who are taking it upon themselves to release secret information to the public, and even releasing classified documents. One of the most powerful hacker groups of our modern age is the group known as Anonymous. This swarm of hackers has shed light on criminal activity, social injustice, and even government corruption. Sterling’s book reveals how the earliest hackers paved the way for these modern Web-based vigilantes. Those who are interested in the advent of the internet, hacking, or the culture of the underground movement of free speech and communication should check out this book. It is an easy read that will give you a lot to think about and a clearer understanding of our history and how the information super highway progressed into what it is today.